This instrument is designed and made as per standards GB/T 8019-2008 Standard test method for gum content in fuels by jet evaporation. 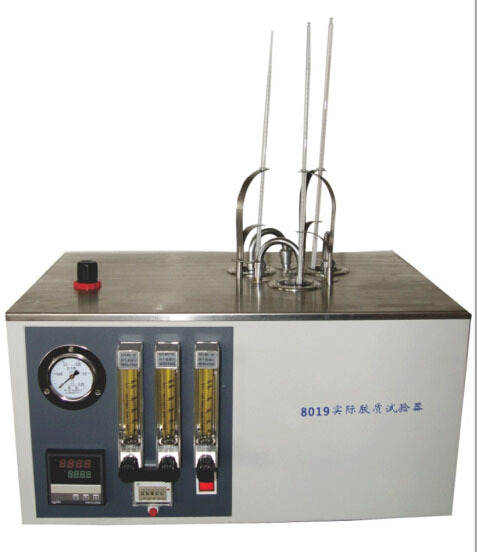 It can be used to determine the existent gum content of aviation fuels by steam vaporizing medium. this instrument can also be used to determine the existent gum content of aviation gasolines and motor gasolines by air vaporizing medium. 1. It equips a specially designed heating bath. The gas circuit is designed reasonably and the effect of evaporation is good. 2. The material of working bench is stainless steel. It has 3 sample wells. A pressure gauge shows the flow rate when steam vaporizing medium is used. 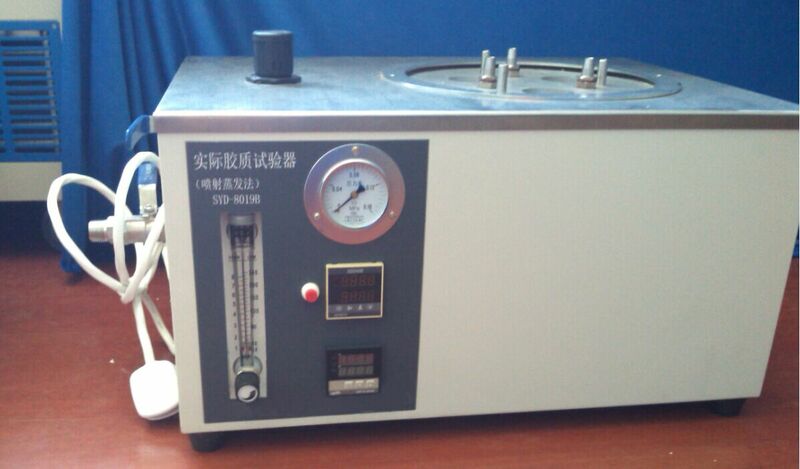 A ball float type flowmeter shows the flow rate when air vaporizing medium is used. It can determine 3 samples at a time. 3. The instrument is desktop structure. Simple design and easy to operate.